oomph. : a week of spring dressing. 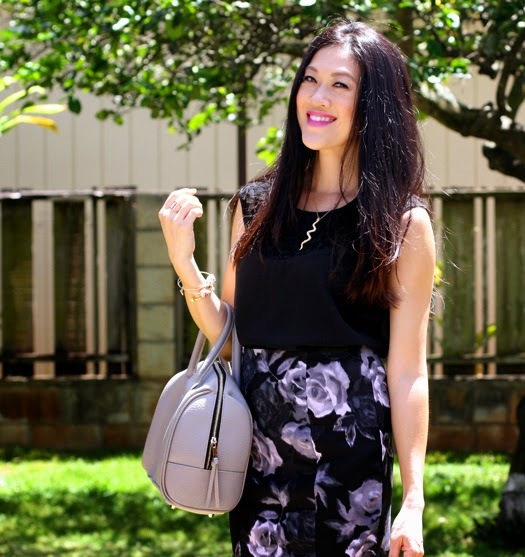 dark florals. Such a babe..love the floral print those cute heels! Happy Birthday Mini-he! Hope you have a great birthday! I wear black all the time! :) Love this outfit btw! Have a nice week! Aw! Happy birthday Mini-he! My daughter's birthday is tomorrow! You are a great mama for making cupcakes. I am sure they meant the world to him. Love this neutral spin on florals. The skirt is so pretty on you! Dark florals look so good! Love your outfit Becks! The cupcakes turned out perfect! Happy Birthday to your son! Wishing him an awesome sauce day! Fab outfit, love that skirt. Happy Birthday to your Mini-he. I love the pattern of these dark florals! How fun. As always, you look gorgeous! I love your shoes with the double strap and that bag! You look beautiful ,what a lovely Dress! I love your dark floral take on spring. Very chic. And happy birthday to your little man. They grow so fast. My son is now so tall he reaches my collarbone and freaks me out. 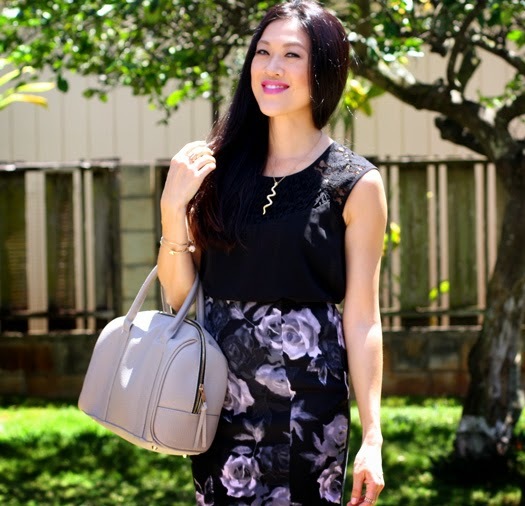 You look great with this dark floral combo! 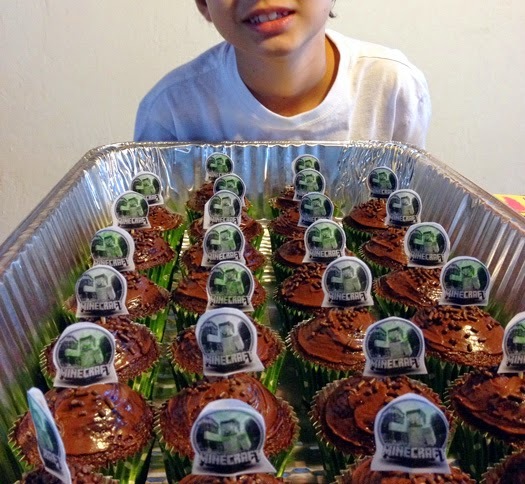 Yes, you gotta have the Minecraft cupcakes, Mama! You did well and happy birthday to your little man! LOVE this! And my son and yours should totally play!